Food Online Order Systems (FOLOS), recognized as a seamless provider of custom online ordering systems, restaurant kiosks and mobile app software, is thrilled to announce they will be exhibiting at the Texas Restaurant Association Marketplace in San Antonio, Texas on July 15-16, 2018. This premier industry expo, held at the Henry B. Convention Center, will be a destination for Texas-wide culinary professionals, industry leaders and trend-setters looking to learn, share and showcase the latest products, services and food techniques. According to the TRA, Texas is one of the hottest growth markets in the country with restaurant industry sales of more than $52 billion. FOLOS will be showcasing its line of cutting edge technology products, including custom online ordering systems for restaurants, QSR restaurant kiosks and mobile apps. Mr. Burge invites all attendees to stop by booth #1548 near the Big Bend Big Ideas stage, for an interactive demo of all three products. FOLOS’ popular online ordering system is an excellent and affordable alternative for independent restaurateurs and midsize franchises looking to streamline their delivery. Not only is it less expensive than seasoned competitors, but the custom-designed system works with all platforms and enables the restaurant(s) to collect and retain their valuable data and customer contacts. For more information on FOLOS, please visit orderfood.menu, or for more information on the TRA Marketplace, please visit tramarketplace.com. Small and medium-sized restaurants can benefit greatly from FOLOS’s new labor-saving, line-busting self-serve kiosks. Denver, CO — In a continued effort to provide smarter, easier, and more efficient ways for customers to order from restaurants, Food Online Ordering Systems(FOLOS) is now launching into the self-ordering kiosk space. Now, SMB restaurants can benefit from innovative technology and 100% automated service even after customers step through their door. These self-service systems are easy to incorporate with traditional ordering systems and offer many benefits to restaurants, coffee shops, and other food service businesses. Though it is a relatively new technology, restaurant kiosks are already a proven asset to many businesses. Over the last few years, major restaurant chains have been adopting self-service kiosks. Last year, McDonald’s announced its decision to roll out kiosks in thousands of stores globally, and the fast food giant is not alone in its decision. They’re certainly not just for major players anymore: self-service systems can be tailored to work for SMB restaurants as well. FOLOS’s point-of-sale integrated kiosks and tablet ordering systems have several advantages. First of all, they’re an excellent line busting tool. When the restaurant gets busy, a self-ordering system takes a large amount of pressure off of employees. With decreased wait times, the restaurant can take more orders at once without having an excess of employees working at the counter. Kiosks also offer more flexibility when it comes to staffing: instead of having several employees manning the cash, they can be serving restaurant guests in other ways. Kiosks have the added benefit of potentially improving order accuracy. Since customers will be selecting their own orders with a simple, easy-to-use interface, there’s a smaller potential for miscommunication. All the customer has to do is click on the items they want from the menu. The order is sent directly to the kitchen, allowing customers to get their food quickly in the integrated solution. Self-serving kiosks can even help restaurants sell add-ons and other items to potentially increase the average check size. With the new kiosk and tablet-based systems, FOLOS maintains the same features that are available with its online ordering systems. FOLOS’s in-house systems, just like its online systems, are customized to the restaurant and branded with its colors, logo, style, and more for a streamlined, aesthetically pleasing experience. They are completely hands-off and automated so that restaurant employees don’t have to worry about managing the kiosk. And, like all of FOLOS’s systems, these kiosks are highly secure to keep customers’ payment information safe. To make it even easier for customers, FOLOS’s kiosks can accept a variety of payment systems. FOLOS will offer several options for kiosk hardware, including large options like the Advantage and Stellar models offered by Posiflex and smaller, tablet-based systems. Larger standalone units are excellent for quick serve restaurant and fast food chains, while the tabletop tablet systems are popular in coffee shops and other small dining establishments. Nearly any business in the food industry can benefit from a functional, streamlined, easy-to-use self-service payment system. Interested restaurant owners are encouraged to contact Food Online Ordering Systems to discuss what type of restaurant kiosk, tablet system, or online ordering system is right for them. Food Online Ordering Systems, also known as FOLOS, provides quality online ordering solutions for restaurants. These systems can be fully integrated into an existing website or can exist as a standalone website, branded mobile application, or Facebook app. FOLOS works with customers to build a fully-branded, well-designed system with secure payment portals and extra features like maps, loyalty programs, and SMS notifications. FOLOS has recently launched into the SMB self-ordering space with a variety of POS integrated kiosks. 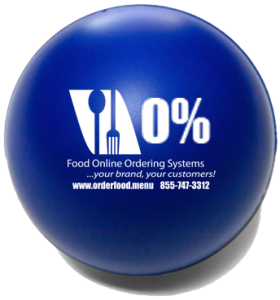 To learn more, visit www.OrderFood.menu or connect with Food Online Ordering Systems at Facebook.com/FoodOnlineOrderingSystems or Twitter @Folosinc. Food Online Ordering Systems (FOLOS) builds custom in-house online ordering systems for your restaurant, your customers! Not going to Chicago? No worries. Connect with us online for a free demo, quote and to get started! As the owner of a busy restaurant or catering service, you may be using an ordering service online for your delivery and take-out orders. If you are, then you’re likely paying a certain percentage on every dollar that you spend to the service provider of that specific ordering system. Over time, this can start to really add up. Food Online Ordering Systems (FOLOS) has the perfect solution for your restaurant! Because your expenses include the cost of food, overhead, labor, and any other related costs, how much are you actually earning from your to-go orders? Probably, not much. However, this is the reality for a number of restaurant owners. They mistakenly believe they have to sacrifice a slice of their overall profits just to compete with other restaurants. Once they review their statements, however, they can clearly see where the dollars are leaking. For some restaurants, the numbers can be several hundreds of dollars per month, even thousands in some cases. Today, virtually any restaurant that doesn’t have a strong presence online, not to mention the absence of a food ordering system online, is costing them money. In other words, it’s impacting the bottom line. Nowadays, hungry customers want what they want, when they want it, and don’t have the time or need to keep a paper delivery menu on-hand to order food. The fastest and most convenient way for any customer to contact a store is through the touch of a button, whether it’s on their smartphone or some other electronic device. Food Online Ordering Systems is now FOLOS. What is FOLOS? FOLOS is a better way for people to order food online. The system can either be fully incorporated into a restaurant’s current point of sale system or used as a standalone on FOLOS’s website. Another option is to have your customers use it as a mobile app for their Windows devices, iOS, Android, or on Facebook as well. FOLOS can offer a number of advantages for any restaurant or catering service. For instance, all approved orders can be integrated into the system that’s already currently in place on location. FOLOS takes care of everything so that neither the customers nor the restaurant owners have to lift a finger. In fact, FOLOS can help your restaurant or catering service by using the colors, the photos of your menu, and the logo of your business in order to design the ideal look and feel of your new website. They can also help with the more logistic aspects as well such setting up a secure payment portal. Furthermore, FOLOS makes it incredibly easy for people to pick and purchase the food that they want to ultimately order in addition to creating helpful maps so that customers can quickly locate a specific branch. By using a food ordering system online, hungry customers can always check the status of their food delivery via SMS or app notifications, or through email. When you stop to consider that other online ordering companies are charging about 15 percent of every sale on average, it’s shocking since most restaurants are making around 25 cents on the dollar in most cases. If you do the math, that’s more than 50 percent of your profits. FOLOS offers a fixed rate that’s more around a third of the cost of your rivals. Also, there’s no service charge for a sale either, unlike many other ordering systems online charge today. Although most charge about 15 percent of the total cost of the sale, FOLOS just charges a fixed flat rate instead along with providing outstanding support for free. FOLOS can make your existing online ordering system work seamlessly with your current POS. They can also integrate any loyalty programs directly into your ordering system online as well. FOLOS utilizes cutting-edge technology along with the industry standards in order to develop your site and ordering service online. Secure, sleek, fast-loading sites are their top priority and they always try to go above and beyond. Because there’s no need to answer phones, check faxes or emails, you can utilize your time and resources much better in order please your customers instead. The service is totally automated and created to be a 100 percent hands-off approach by batching and producing daily reports. FOLOS takes care of everything and even alerts you if there’s a problem you need to know about. FOLOS considers the logo and colors of your restaurant in order to ensure that both your site and ordering platform online are in complete harmony with your brand based on your standards. They’re experts at streamlining functionality in order to enable your customer base to easily and effortlessly place an order with your restaurant. With real-time notifications via SMS, apps, or email, your customers will always know the status of their food delivery until it arrives. Customers have up-to-the-minute stats on the whereabouts of their food. FOLOS incorporates the latest technology in order to keep the personal and sensitive information of your customers completely safe and secure. They can help you generate a convenient online payment platform that facilitates a safe and easy way for your customers to purchase food online. You get to pick and choose your ordering system online a la carte. Save money by keeping only the features you want and need. You can let FOLOS help you create a package that will best accommodate the ultimate goals of your business. Regardless if your customers use a Windows, Android, or iOS device, they can easily place an order online with your restaurant or catering service. Besides just using the website of your restaurant, they can also use online ordering apps on their tablets or mobile devices – the choice is theirs. Compared to other online ordering companies, FOLOS doesn’t charge outrageous fees for their services. It doesn’t matter whether you’re doing $2,000 or $20,000 a month online, you’ll still pay the same flat rate, which is generally about one-third of the total cost of your rivals. Because FOLOS creates easy-to-use platforms for ordering online along with functional and aesthetically-pleasing websites, your customers can check out with no problem directly on your site. Need more than one payment platform to serve your customers? Of course, you do. FOLOS can accommodate a number of different platforms including bank transfers, credit cards, or PayPal. Customers want service that’s quick, easy, and super convenient no matter what they’re buying. With FOLOS, any business in the food industry can benefit from a having a functional website and easy-to-use apps that enables their customers to pick what they want from a menu and have it quickly delivered with the simple touch of a button. As an enthusiast of social media, I probably share the opinion of almost the entire population when I say that nowadays social media is what you need to make your restaurant a huge success. Whether or not you like or dislike, use or avoid social media for personal habits, one thing cannot be denied and that is that millions of users log on every day to the likes of Facebook, Twitter and Linkedin. What you do need to remember though is that the primary importance of having a social media account is to interact socially with your virtual friends, the idea of integrating social networking into business coming later on. What you need to remember then when you wish to advertise your services to a global audience is that you cannot be too aggressive in your social media skills, and rather than pushing “friends” with spammy mails and annoying block capital advertisements, you need to subtly persuade them that your restaurant really is the place they need to be. I personally have used social media for one of my business ventures, and can only rave on about the success I had. I decided to monitor the percentage of my clients that found out about my venture through social media, and the results were actually quite shocking. My conclusion from all this; it really is great to have people “talking about you” and the more “likes” or visits or “tweets” you receive, the better it all gets. Just remember however never to post anything negative or respond to any comments left in a negative manner; this really would get people talking about you, but in the very worst possible way! A food online ordering system through social media can also help your business grow in a big way. Many businesses see a 10%-20% increase in sales by just adding a restaurant online ordering system. The system also work in social media apps like Facebook, iOS, and Android. Contact Food Online ordering Systems for a demo today! Food Online Ordering Systems empowers your restaurant business with advanced e-commerce technology that will enable you to streamline your business. Numerous advantages come with incorporating this software to your current point of sale system. For one, you stop being limited by physical locations as anyone can order food from your business. Thus enabling your business to finally transverse different horizons that will ultimately raise your bottom line. However, when it comes to digital transitions, a good number of business owners still tend to be wary of the idea. Here are some of the ways that online ordering can work toward streamlining your business thus boosting your sales. There is nothing worse than craving something particular to eat then finding that either the line are too long at the restaurant or worse yet, it is closed or being put on hold when calling! Our online food ordering system allows you to keep your business open for as many hours as you want. Inclusion of delivery means that people do not have to wait for food at the premises or phone but can simply have their order brought to them at their convenience. Not only does this translate into customer acquisition, it also increases your customer retention rates. This can only mean additional profits for your business. Making orders over the phone is becoming a thing of the past, as it should be! Not only do customers have to contend with busy phone lines during rush hour, but your employees also will not catch a break during peak hours such as lunch and dinnertime. By opting for online restaurant ordering software, you lose your dependence on phone lines for an automated and more efficient service. In addition, the use of automated email notifications will keep your customers feeling that you value paying attention to them despite the business’ stipulated working hours. One of the worst scenarios for your business is when a customer wants to order a particular item only to be told that it is not available. Not only does this lead to disappointment, but it could potentially make you lose business if they opt to purchase the food from a rival restaurant. With online food ordering software, your menu is refreshed by the minute thus ensuring that it is always up to date. Customers get a chance to choose their food from what is available all the time thus eliminating the chances of orders not being met. Another way of streamlining your business and boosting sales is by having repeat clients. Our online food ordering system can help you do this if incorporated with other incentives such as loyalty programs, coupons and more. These added incentives will make customers feel obliged to keep ordering from your business. As they will have their own accounts and profiles, which provide them with bonuses the more frequently, they choose to order from you. With secure transactions and the ability to update your menu handily, our food online ordering system allows your business to embrace increased work productivity and boost sales at a fraction of the cost! Technology and the rise of social media has made it easier for businesses to get the word out regarding their products and services. While this is definitely a good thing, it is not without its downsides. Digital channels of communication, while providing businesses with a conduit leading directly to their target audience, have become saturated. It is now harder than ever for businesses to stand out. For example, how can one fried chicken restaurant compete with 10 others, who all swear to be the best in the city? These restaurants are all bound to have excellent websites, and also have attractive social media accounts. There are companies that specialize in customizing user experience and ensure that customers are more likely to become aware of a restaurant or caterer. An online ordering system, for example, can work on a restaurant’s existing web presence and expand it into a customer’s personal space using mobile applications, and making it easy for them to get the food that they want at their doorstep. However, there are a few things a restaurant or food catering service should remember to make their marketing plans more effective. Aside from the tried and true–fliers, pamphlets, and posters–restaurants and food services these days should establish an online presence, starting with a website. With the increasing popularity of smart phones and other mobile devices, people are relying more and more on the internet to get the information they need. If you cannot be Googled, it is like you do not exist. A good website should contain information about your restaurant or food catering service, but most importantly should showcase the food, where stores can be found, and how they can order. Social media is also a good place to push updates to customers, as they spend a lot of time there online. Facebook is able to deliver good clickthroughs to websites, and Twitter gives users the chance to get live updates from businesses they follow. Instagram is foodie heaven, and other platforms such as Pinterest and Tumblr also allow for various means to highlight food products. Social media also makes it easy for customers to get in touch, and to join promotions or contests. People like giving their opinions, and love it when their views are heard and shared by others. This is why it can be useful for restaurants to share food reviews written by customers and bloggers on their website and social media accounts. If bad reviews are given, restaurants can immediately address the complaints and show that they have addressed these, making customers happy with their quick response. Customers like convenience, and online ordering for restaurants is as easy as it can get. In addition to food orders, most online ordering systems can also receive table reservations. With the availability of online payment platforms and the rise of mobile devices, this can be useful in ramping up sales, as customers no longer have to wait until they get off work or go to a store in order to transact their business. They can buy food or make reservations immediately, when the mood strikes or they feel hungry. It is important to talk to customers about their opinions, and to make them feel that what they want matters. After all, they are paying good money for the food and service. Feedback can be through email, the website, social media, phone, or a dropbox on site. There should be follow through, however. Restaurants can leverage social media or their website to show their responses to the most pressing concerns. Showing you care can earn brownie points with customers. Incentives such as a one-day only discount, a weekend food sale, or free dessert can help ramp up sales–everybody likes freebies. Social media can be leveraged in a variety of ways to promote these kinds of efforts. Hosting an event during local holidays or events can help a restaurant get increased sales, as they can serve as a meeting place for several groups. For example, a bar can host a football viewing party, for example, and fine dining restaurants can host a Valentine’s Day speed dating event. Visually stimulating photographs can ignite interest in people, and gorgeous food photos on promotional material, websites and social media accounts are sure to make potential customers think about what your restaurant or catering service is offering. There are several Facebook and Twitter posts a day, as well as whole Instagram campaigns and websites celebrating food. Consistently mouthwatering food photographs are sure to catch foodies’ attention.